We were pleasantly surprised to see our Online Mosaic Tool was recently featured on the Hallmark Channel’s Home & Family talkshow – what an honor! Needless to say, we were extremely happy to see our tool used on TV, but we were especially excited to watch how quickly she was able to upload her photos and create her mosaic, highlighting the super easy, 3-step creation process. 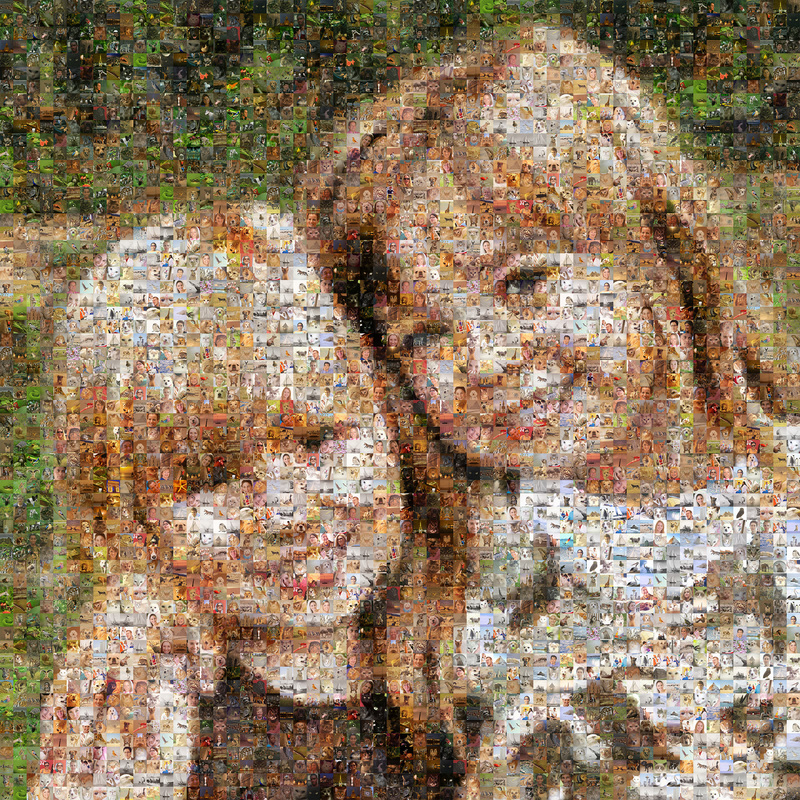 Shani then shows viewers how to create their own custom photo mosaic in a matter of minutes using our Online Mosaic Tool. Taking the DIY ethos a step further, she used the hi-res digital file to create an iron-on mosaic tote bag! This entry was posted in Art, Gift Ideas, Mosaics, Online Mosaic Tool, Photo Mosaics, Television and tagged DIY, Hallmark Channel, Home & Family, online mosaic tool, television on October 18, 2016 by Robert DeCarolis. 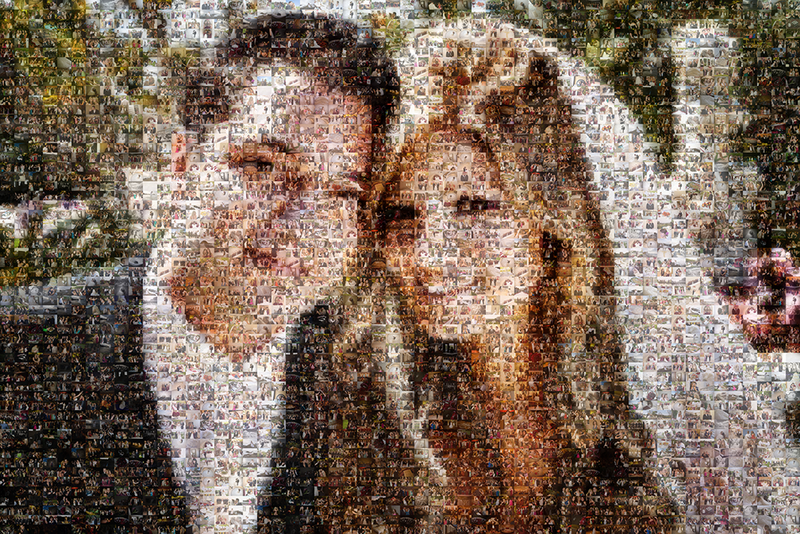 We’ve created too many romantic photo mosaics to count at this point, but that doesn’t mean we’re stopping anytime soon! With V-Day just around the corner, choosing the perfect gift for that special someone can be a dubious and tiresome task. 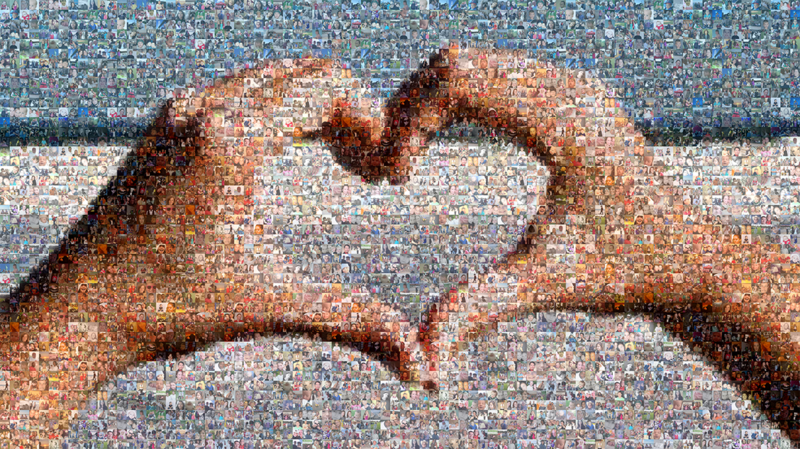 So if you’re still stuck on what to get that special someone this year, keep it simple: use your favorite photos to create a beautiful personalized photo mosaic. This entry was posted in Art, Gift Ideas, Mosaics, Photo Mosaics and tagged gift ideas, gifts, photo gifts, photo mosaics, Valentine's Day on January 30, 2015 by Robert DeCarolis.